Hard hits and tackles are part of Football. The effect those hits can have on a player’s brain is no joke. 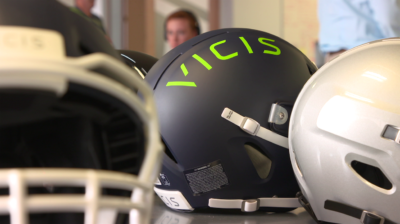 That’s why VICIS (which means change in Latin) is trying to bring change to the helmet industry. Unlike standard helmets, which have a hard outer shell and foam interior, VICIS helmets are different. They have multiple layers that all work together to slow impact forces before they can reach the head. The outermost layer is a small-flexible shell which bends like a car bumper. The second layer is made of columns which bend and buckle on impact. So together, the layers slow impact forces before they can reach the head. The concept for the bendable helmet follows the engineering principles in modern auto manufacturing where crumple zones better protect the passengers by transferring energy when hit. 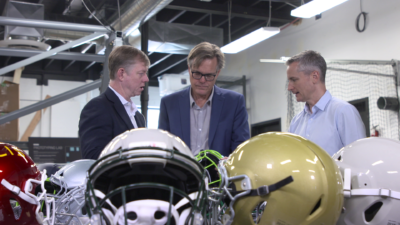 VICIS is constantly researching, testing, and developing technology to ensure their helmets have the highest quality to reduce head injury risk. Go To Team’s Seattle crew member, Zach Caby, visited VICIS for The Henry Ford’s Innovation Nation to help capture it all. Our crew spent the day shooting interviews, interactive segments, hero shots, and tons of B-roll on a Sony F5. The day was structured nicely as we had a lot of material to cover in a short amount of time. In order to keep the day on track, and to stay mobile, Zach utilized three 1×1 LED bi-color panels. 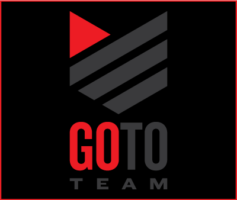 Interacting with and interviewing the three founders of VICIS was a pleasure, as they are three unique individuals from totally different backgrounds that came together to develop a truly innovative product that is changing the way we protect our athletes.